Desktop productivity tool No. 1: AbiWord 2.8.6 If all you want is a simple word processing application, and OpenOffice.org is overkill, consider AbiWord 2.8.6. Written to emulate the look and feel of Microsoft Word circa Office 97 through Office 2003, AbiWord also dependably emulates the vast majority of Word functions. Especially useful is a live-collaboration function that lets you connect to another AbiWord user across a network and work on the same document in real time. A word of caution: AbiWord can be tripped up by documents created in other programs. Some types of formatting aren't properly preserved, and some features supported in Word (and OpenOffice.org) don't always function as expected. When working with files created outside AbiWord, you should use copies instead of the originals. Desktop productivity tool No. 2: Scribus 1.3.8 Scribus is a free open source desktop publishing program, one written with the kind of attention to the UI as displayed in Inkscape and Paint.NET. It sports layout and design tools that are on a par with commercial competitors, has a macro language à la GIMP with a number of prepackaged macros (for example, a calendar generator), can produce professional-quality CMYK PDFs, and even includes a "preflight check" function to make sure what you see really is what you get. Note that you get the best results when you use Scribus in conjunction with a dedicated text processing system; it's not a word processor in its own right and isn't suited yet to automatically laying out long-form documents. Also, as with Inkscape, internal support for color-matching systems like Pantone is missing, although you can partly work around this limitation. Scribus comes with a number of templates for reuse, such as this newsletter template. Note the story editor window, which is designed for direct editing of the contents of text frames. Desktop productivity tool No. 3: SeaMonkey 2.0.6 Mozilla's "suite" product, which bundles Web browsing, email, IRC chat, and an HTML editor in one application, hasn't received nearly as much attention as Firefox or Thunderbird, both of which are now incorporated as part of the SeaMonkey bundle. Much of that disinterest has been due to SeaMonkey not being updated as aggressively as other Mozilla programs, but the new 2.0 branch -- which started coming out late last year -- is worth a look. Apart from the plug-in friendly browser and email client, the most useful portion of SeaMonkey is the HTML editor, which is slightly more polished than KompoZer but isn't available separately. It's no substitute for a full-blown page design app like DreamWeaver (what is? ), but it works well for basic HTML assembly and cleanup, and also as a way to examine the tag structure of existing pages. If you're already sold on Firefox and Thunderbird, SeaMonkey serves them with an extra helping. In addition to Firefox and Thunderbird, Mozilla's SeaMonkey includes a useful HTML editor, shown here editing a page in HTML tag viewing mode. The attributes for the selected &lt;SPAN&gt; are shown in the pop-up window. Desktop productivity tool No. 4: GIMP 2.6 The name is an acronym for GNU Image Manipulation Program, and among free software advocates GIMP has become a staple recommendation as an alternative to Photoshop. Many of Photoshop's tools are re-implemented here: layers, editable text objects, support for a remarkable number of image formats, even support for Photoshop's own brushes. One major plus is the panoply of third-party scripts and add-ons that extend the program's functionality. But the program's biggest minus remains, even after many years, its clunky user interface -- like the non-native file picker dialog that shows up in the Windows edition. 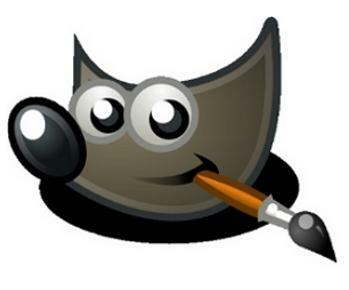 GIMP implements many of Photoshop's functions, including the ability to use Photoshop's own brushes. Desktop productivity tool No. 5: Paint.NET 3.5.5 This spectacular program comes closer than any other to replacing Photoshop for the casual user. It's neither cross-platform (it's Windows-only) nor open source (although it is free for use). But it's far more elegantly presented and immediately useful than its open source counterpart, GIMP. Layered editing, a gallery of plug-ins, tons of built-in effects (even some GPU-accelerated ones), and support for just about every major image format make this program well worth having. Paint.NET has some weaknesses -- namely, text handling is awkward, and there's no way to create nondestructive manipulation à la Photoshop's adjustment layers. Both of those are being worked on for future editions of the program, though. Paint.NET's toolset is close enough to Photoshop that most people can start using it with minimal retraining. Desktop productivity tool No. 6: Inkscape 0.48 Free software's answer to Adobe Illustrator, Inkscape is polished, powerful, and loaded with tools that don't require a lot of guesswork to use well. Its native file format is conventional XML, and it can import and export from a whole bevy of existing vector and raster formats, as well as PDFs. The most recent version, 0.48, adds multipath editing, improved text handling, an interesting "spray" tool, and broad support for ICC color throughout the program. Sophisticated tools and precise controls make Inkscape powerful enough for most vector art and design work. Desktop productivity tool No. 7: Dia 0.97 A simple tool, but not a simplistic one, Dia is a flowchart and diagram drawing tool that is much like an AbiWord for illustration, in that it gives you only what you need to create a certain class of design and doesn't burden you beyond that. The controls can be a little persnickety; it assumes, for instance, that people will draw new shapes by starting at the top-left corner and moving down and to the right. (You get odd results if you try drawing objects from right to left.) But for the most part, Dia is easy to use, and it comes with a whole slew of common object categories -- electrical, hydraulic, programming, and so on -- that make it easy to jump-start a drawing of most any sort. Creating a quick design with Dia. The elements in the Flowchart box at the left can be replaced with primitives for a great many other applications. Desktop productivity tool No. 8: FreeMind At first glance it's tempting to lump FreeMind in the same category as Dia, but it's been designed from the inside out to satisfy a separate need. It's a drawing tool specifically for creating "mind maps," or diagrams that illustrate conceptual frameworks. The command keys and default behaviors are well chosen, so it's not hard for someone to dive in and quickly start brainstorming. The resulting map can be exported as graphics or a data tree (such as an XHTML document), or even as a Web page that replicates the layout of the original mind map. FreeMind is a drawing tool and editor for brainstorming. The presentation of each node in a "mind map" can be customized enormously. Desktop productivity tool No. 9: GTD-Free David Allen's Getting Things Done productivity system has helped many people get their lives in order. GTD-Free helps you automate the GTD system, so you don't have to rely as much on pieces of paper or manual notes. Organized into four action tabs -- Collect, Process, Organize/Review, and Execute -- it lets you see all stages of your GTD workflow at a glance. The program lets you use either a flat XML database (simple) or an ODB-format database (scales well), and you can switch from the former to the latter at any time. Also included are some example action lists to help get you started if you're new to the GTD methodology. GTD-Free provides you with a framework to implement the "Getting Things Done" methodology without using reams of paper. Desktop productivity tool No. 10: Task Coach 1.1.3 If tackling the Getting Things Done methodology seems too daunting, take a look at Task Coach. Task Coach uses a much simpler, checklist-oriented approach to help you stay on top of your workload. Tasks can be organized into any number of categories, assigned dates and progress percentages, and time-tracked so that you can get an idea of how long you're spending on any given project. More advanced features, like creating subtasks or adding "effort" annotations to a given task, are there if you need them, but you don't need to know how to use them to make use of Task Coach. I also like how you can visualize your tasks as more than just a list; there's a calendar view, a timeline, and a hierarchical view (for subtasks). The task lists can also be synced via iCalendar (ICS), or through a Funambol server if you use one. Task Coach is a simple checklist-based task management tool, with more advanced productivity management features under the hood if you need them. Is open source a dead end for desktop applications? This article, "10 great free desktop productivity tools that aren't OpenOffice.org," originally appeared at InfoWorld.com. Follow the latest developments in applications, open source, Windows, Mac, and Linux at InfoWorld.com.